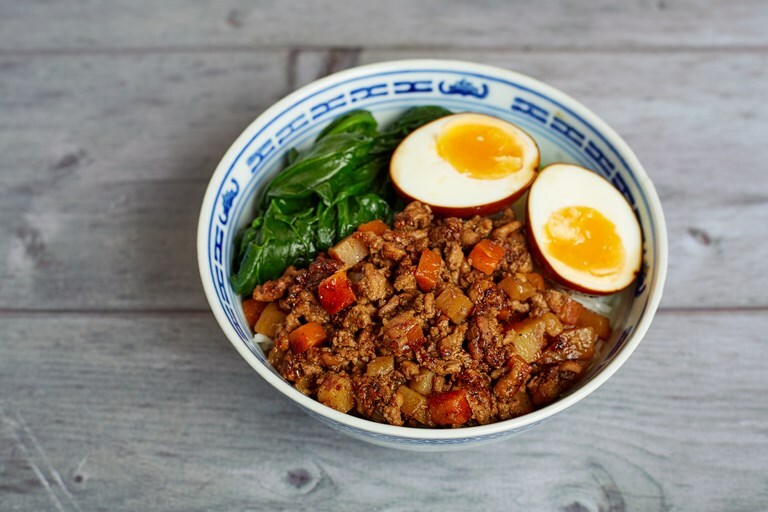 Inspired by the Taiwanese comfort dish lu rou fan, this quick and tasty braised pork mince recipe makes for a perfect midweek meal. The pork is caramelised and then braised in soy sauce with Chinese five-spice. It's traditionally served on a bed of sticky rice with steamed mustard greens and an egg, but feel free to swap these out for whatever you fancy.